Biennial herb, up to 120cm tall, native probably to West Asia, only known in cultivation (nearly everywhere); various in habit, large in bloom; leaves hollow, tubular, radical and basal, swollen; stem swollen below middle; flowers white, many, in large umbel subtended by 2 or 3 reflexed bracts; bulbs often large. Mammals are unable to metabolize fructans, but the human colon has been estimated to harbor between 500 and 1,000 species, representing over 7,000 strains, several of them containing fructanases and can convert fructans to fructose. Products of fructan degradation include lactate, butyrate, CO2 and H2, leading to flatulence. The lachrymatory factor thiopropanal-S-oxide is not released spontaneously as a by-product following the action of the enzyme alliinase, but is specifically synthesized from the intermediate sulphenic acid by a previously undiscovered enzyme, lachrymatory-factor synthase. In comparison to the usually performed aroma isolation techniques such as steam distillation, a surprisingly high reproducibility, sensitivity, and selectivity of all relevant S-containing aroma compounds were achieved by solvent extraction or simultaneous distillation/extraction (SDE).“ Dominant compound was dipropyl disulfide (46.3%), followed by (E)-1-propenyl propyl disulfide (7.7%), methyl propyl disulfide (1.2%), di-2-propenyl sulfide (0.9%), and 2-propenyl propyl disulfide (0.5%). 3-Mercapto-2-methylpentan-1-ol was identified as a potent onion odorant, especially in cooked onions. 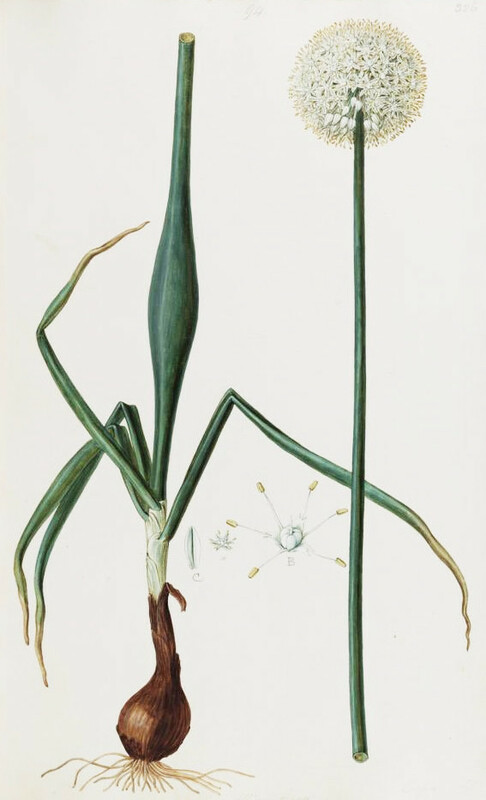 It was also identified in other Allium species such as chives, scallions, and leek, whereas surprisingly garlic and bear's garlic did not contain this aroma compound.